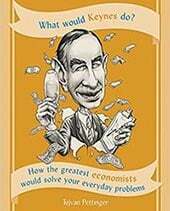 Does economic growth conflict with the objective of balance of payments stability? Both economic growth and balance of payments are macroeconomic objectives. Economic growth is an increase in real GDP – leading to higher living standards. The current account on the balance of payments measures trade in goods, services, investment incomes and net transfers. A large current account deficit is considered a potential macroeconomic problem (See: problems of current account deficit). A higher rate of economic growth will cause higher levels of consumer spending. Therefore, there will be a rise in import spending – which will tend to cause a deterioration in the current account. In this case, economic growth is causing inflationary pressures as the economy gets close to full capacity. Furthermore, with higher economic growth, the economy will get closer to full capacity and therefore, it will put upward pressure on prices and inflation. If there is a rise in the inflation rate, then it will make UK exports less competitive and imports relatively cheaper. This will also worsen the current account deficit. 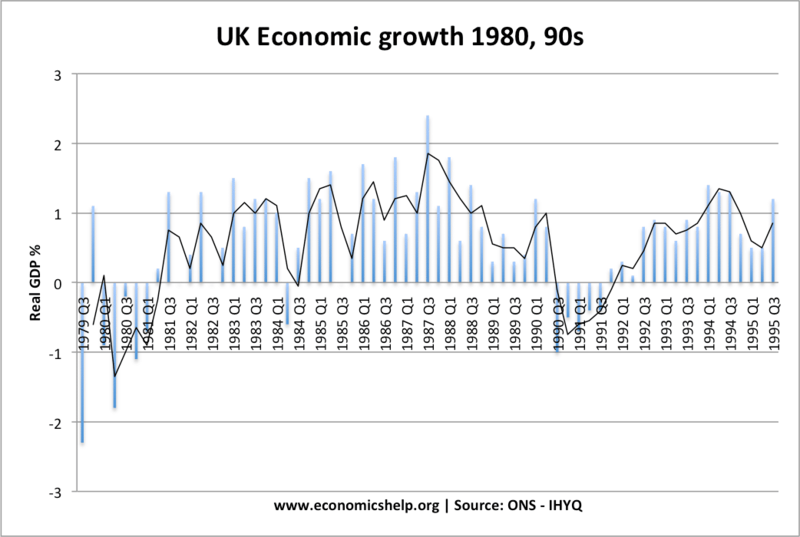 An example of economic growth causing a widening of the current account was the UK economy in the late 1980s. 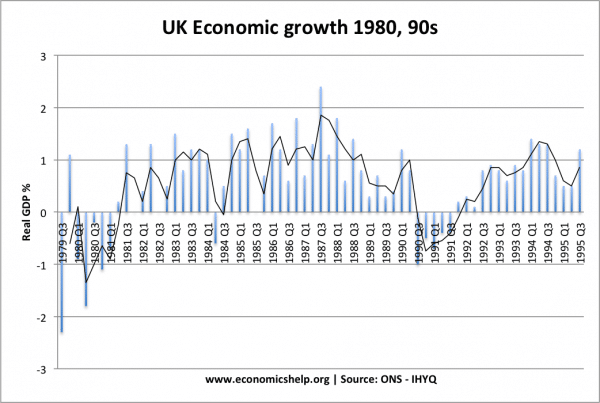 The UK experienced an economic boom – with annual growth of over 4% – which was above the UK’s long-run trend rate. This rapid rate of growth was fuelled by high consumer spending – it led to falling saving rates, higher inflation and more spending on imports – the current account deficit increased. 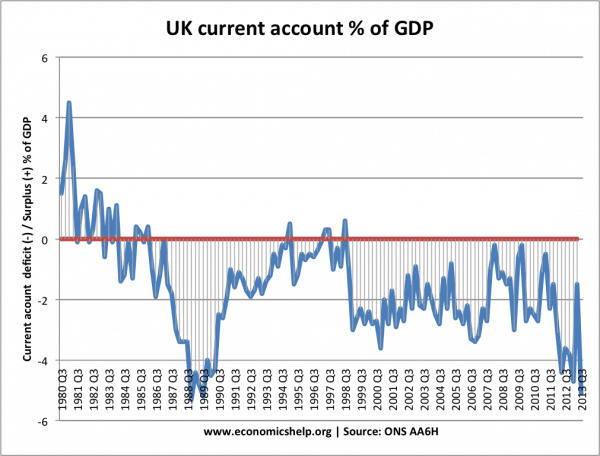 Rapid growth in the 1980s, caused the deterioration in the current account. 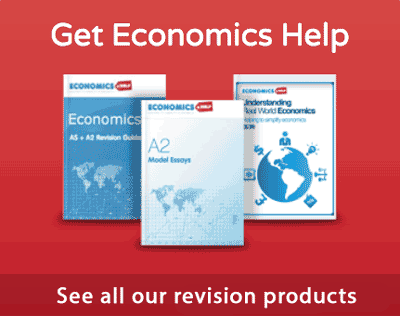 An increase in economic growth may not cause a current account deficit in all circumstance. 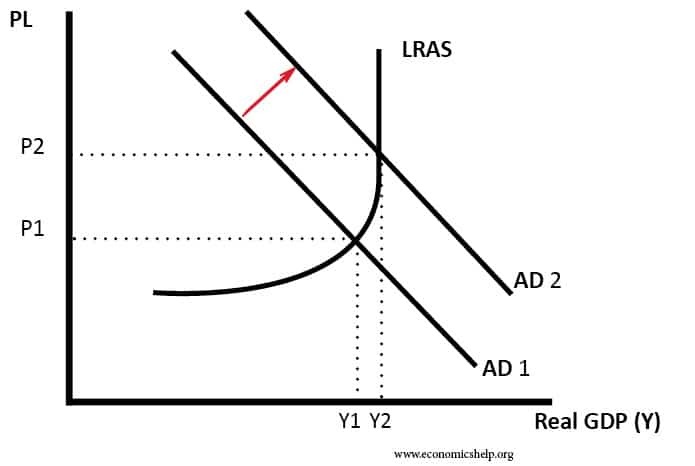 Firstly, if economic growth is sustainable – if growth is close to the long-run trend rate, then inflationary pressures will not increase and domestic supply is able to keep up with domestic demand. In this circumstance, there is less need for consumers to switch to imports from abroad. 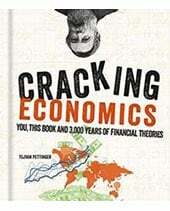 The nature of economic growth. The second factor is that it depends on the nature of economic growth. 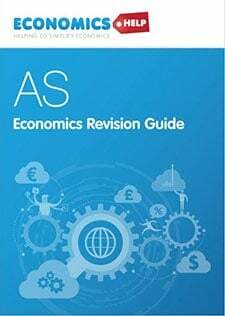 If economic growth is fuelled by capital investment and export demand – then economic growth can be consistent with a current account surplus. For example, countries, such as Germany and China have economies based around strong export performance. Through increasing international competitiveness, they are able to increase export demand at a faster rate than domestic consumption. Saving rates. If growth is based on consumer spending and falling saving rates, this will tend to cause imports to rise faster than exports. If saving and investment rates are stable, then the economic growth is more likely to be balanced and avoid the imbalance of large current account deficits and surplus. Exchange rate. The exchange rate will have an important bearing on the current account. If the currency is overvalued, then a countries exports will tend to be relatively uncompetitive and this will worsen the current account. The large current account surplus in Germany and China have partly been related to the fact their currencies have been undervalued. In the Euro, German labour costs have risen slower than other EU countries; this has given Germany a competitive advantage and contributed to a persistent current account surplus. The rate of growth vs long-run trend rate. If the rate of growth is above the long-term sustainable rate – then it is much more likely to cause an imbalance – both inflationary pressures and greater spending on imports. Marginal propensity to import. This is the percentage of extra income that households spend on imports. 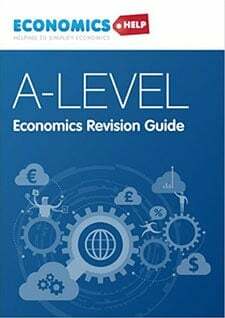 For example, the UK has often had a high marginal propensity to import; when income increases, households have often wanted to buy luxury imported goods (with a high-income elasticity of demand). Therefore a rise in income causes a relatively high percentage increase in imports. However, in other countries a rise in income, may lead to a smaller percentage rise in imports because they prefer to save the extra income or spend it on domestic consumption.